THE ORIGINAL MEAL DOESN’T NEED TO BE FOUND! Today, feeding the world’s sprawling cities is increasingly recognized to be a major challenge since food systems are part of complex global networks of cultivation, processing, storage and distribution, highly vulnerable to any geopolitical, economic, or natural disaster-related crises. On an environmental level, food consumed in urban areas is usually not only transported over longer distances, raising concerns about “Food Miles” greenhouse gas (GHG) emissions (Weber and Matthews, 2008), but an estimated one-third of global food production is lost or wasted in the process (FAO, 2011). In addition to the food miles’ issue, environmental impacts of food are generated in energy, land and water usage, and waste processing. Each time we waste food, all of these damages to our planet have been unnecessary. The good news is that we are paying more and more attention to the issue of food waste. In the Netherlands, the average Dutch threw away around 41 kilograms of food in 2016, which represents a 15% decrease in food waste from 2010, according to research commissioned by the Economic Affairs and Infrastructure & Environment ministries in the Netherlands. Food waste is increasingly denounced in numerous ways, through initiatives like Damn Food Waste, and creative business models focused on up-cycling food that would have gone to the trash bin in spite of still being eatable, like InStock, a restaurant that turns food surplus from supermarkets into tasty meals, or De KasKantine, a community of urban farmers and artists that use surplus food from the Amsterdam Food Centre to make their everyday-improvised menu. In restaurants, up-cycling food waste is essential in order to efficiently manage stocks. Many creative ways can be used for that, like integrating leftovers into the dishes of the following day, or cooking them for the meals of the employees. According to Daniel Boulud, a great chef respects the culinary value of everything, from truffles to radishes. It just takes a little bit of creativity and willing to accept the challenge of constant improvisation. 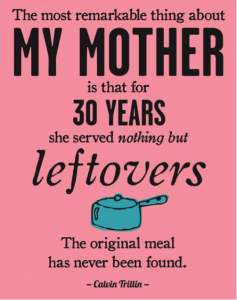 Our mothers are so skilled in this art of improvisation, that the original meal can even be difficult to guess. But who cares, it’s delicious! Mediamatic has many on-site resources for the preparation of healthy locally-sourced meals. Here are three ideas to make the most out of the waste generated by their restaurant. The catfish on the Mediamatic menu is raised in their aquaponics system. Turning catfish waste into delicious Dutch croquettes is easy-peasy, and all the necessary ingredients can be found in the surplus of the restaurant: it only takes mashed potatoes, breadcrumbs, and eggs. Any Dutch restaurant will most likely have plenty of mashed potatoes and bread. As for the eggs, raising a few chickens can be a ludic and useful activity to consider having at the foundation. According to the very useful City Girl Chickens urban guide, “tending a small urban flock takes less time than taking care of the family dog”! The blender can be the perfect weapon to transform any fruit or veggie leftovers into infinite variations of smoothies or fresh soups to be served at the following day’s lunch or to be part of an energizing Sunday brunch menu at the very cozy Mediamatic bar. Andreas, the aquaponics system operator, showed us the great variety of herbs that he is growing at the greenhouse. Why not using the available mint, basil, coriander and oregano to add flavor to these fresh beverages!? Still have a few eggs left and no more dough this week for Mediamatic pizza days? No worries. A frittata will do it! Veggies, mashed potatoes, fish, seitan, herbs, there is room for any kind of leftovers in a delicious frittata. FAO, 2011. Global food losses and food waste – Extent, causes and prevention. Rome. Over the three weeks of research, we visited a number of sites that inspired our ideas and provided us alternative contexts and practical possibilities to compare with the work of Mediamatic. We learned about sustainability as a business ethos, as a philosophy and as practical application. The following is a brief summary of the conversations and experiences we had at Mediamatic and Cafe De KasKantine. Not only did we observe the work done in these spaces, but we also had opportunities to experience the end products of the systems we were studying, enriching our data and our ideas. On July 19th, we spoke with the head chef at Mediamatic and asked questions that pertained to the procedures used in the kitchen, ingredients utilized from on-site in dishes, and ingredients used from wholesalers throughout Amsterdam. Our group asked Vincent, the head chef at Mediamatic about his experience utilizing leftovers in dishes. He explained that it was a new concept for him and he was happy to work with people that created dishes with leftover ingredients, which cuts down food waste. He also said Mediamatics approach about their food scene is a “dirty vegan” model. They focus mainly on vegan items, but they also have oysters and catfish on the menu. The catfish are raised on site in an aquaponics system. The water from the tanks run through a system of pipes spread throughout the greenhouse which provides nutrients for their produce. Also, he explained that Mediamatic grows several varieties of produce on site such as basil, rosemary, cucumber, tomatoes and other varieties. 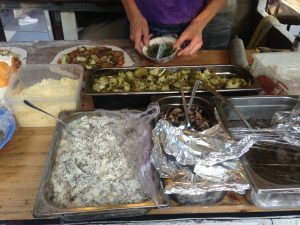 All food grown on site are not only used for pizza, but other dishes as well. A few examples are vegan chili, curried vegetables, and couscous. The reason behind this model is to become a self-sustainable system and to be cost effective. Although, some vegetables can only be grown during certain seasons, they rely on purchasing ingredients from wholesalers in Amsterdam. Ingredients purchased include flour for the pizza base, tomato sauce, and other vegetables. 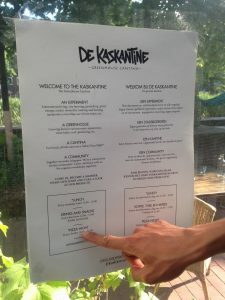 On Friday the 21st of July, we spent an evening at Cafe De KasKantine. 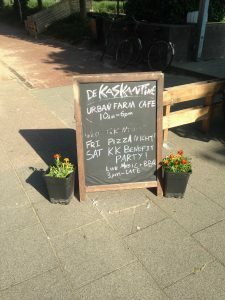 Located near Westerpark in Amsterdam, De KasKantine is a mobile pay-as-you-feel cafe and urban farm. During the evening at the site, we had an opportunity to speak to the head chef and the pizza chef to see what kind of ideas had been implemented. The ingredients used in the kitchen are sourced on site, as well as from local markets and food centres. Ingredients sourced externally are all at the end of their shelf-life days and would otherwise be thrown away. Going with with seasons and with the ingredients gathered at hand, De KasKantine takes a flexible, adaptive approach to its menu, particularly the pizzas. 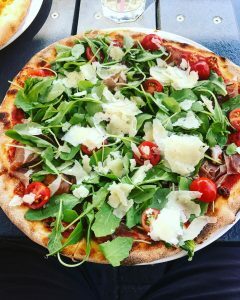 According to the pizza chef, it is “the most circular pizza in Amsterdam.” Aside from the dough ingredients, everything used on the pizza would have otherwise become food-waste. They use a wide variety of vegetables – mushrooms, capsicums, herbs, olives and many others. They also have a partnership with The Kitchen of the Undesirable Animal, a not-for-profit project run by five local artists who collect and distribute meat from animals slaughtered in hunting projects such as geese, rodents and crow. They have a wood fired pizza oven that holds 6 pizzas at a time, making food service efficient, and they also use the oven as a heater during the colder months. One issue noted in regards to their farm was the seasonal organisation. If they were too late or too early in the season to plant their vegetables, they could not have a timely harvest. 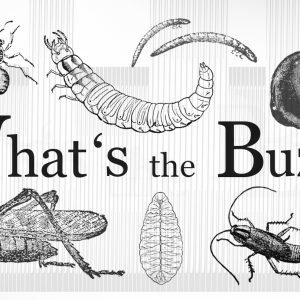 At the end of this series we list a selection of ideas picked up over the last weeks. These ideas are by no means exhaustive, but hopefully they will provide a starting point to brainstorm further research at Mediamatic. If we had more time we would have loved to explore these ideas further, but alas, we will leave them here for further, future consideration. Source used coffee granules from Mediamatic’s bar to grow mushrooms in the greenhouse, particularly oyster mushrooms. Build a collaborative business relationship with Kitchen of the Undesired Animal (in alignment with Mediamatic’s ‘dirty vegan’ model). Use a calzone (folded pizza) recipe to save space in the wood fired oven as a means of making preparation/food service more efficient. Find a method of preserving heat generated by the wood fired oven. Fitted a bicycle with a carrier to pick up ingredients from local distributors. Interview other local distributors that provide fresh local ingredients. Research more recipes for vegan pizza and other dishes. Create and prepare dishes with recipes researched to ensure quality. Network with other sustainable organisations (such as Cafe Du Ceuvel) in Amsterdam and surrounding cities. 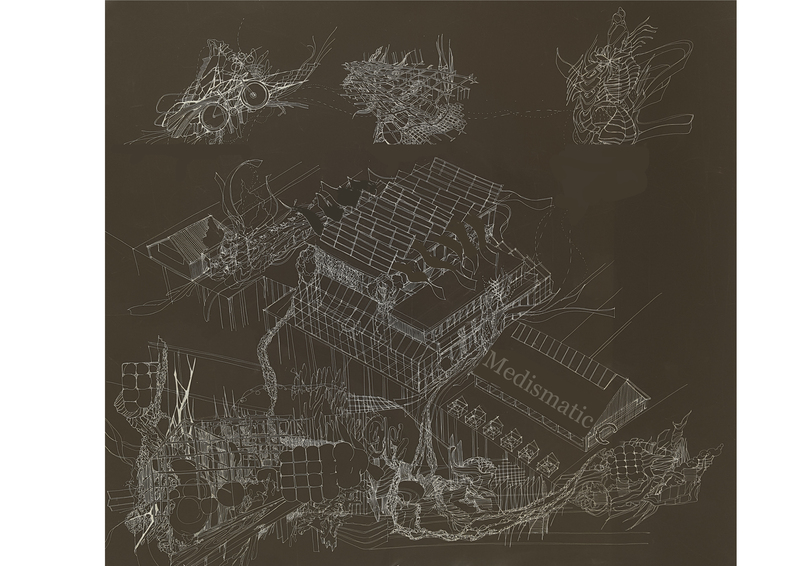 Collaborate with organizations in our home-towns for Mediamatic to utilize like-minded sustainable ideas. Use other alternative methods to create other dishes at Mediamatic that can accommodate consumer needs. Hold special events at Mediamtic or other organizations that utilises employee’s talents to raise money for business and charities. Examples of such events could be a pizza and movie night, art show, and etc. 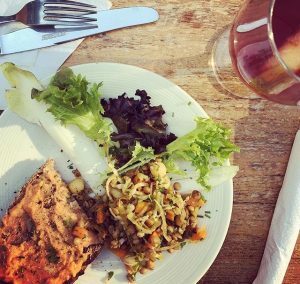 Have a picnic night at Mediamatic where the consumer provides own dishes, tableware, and liquids. Ensures to cut cost at Mediamatic. Set up a “pick-up-point” in the neighborhood to collect unwanted recyclable organic scraps such as, coffee grounds, vegetable/fruit scrap, cardboard, and etc. Utilize materials in Mediamatic gardens. Elsher Lawson-Boyd is a Master of Arts (research) student at the University of Sydney. Based in sociology, she is currently writing a thesis on the enactment of food in Australia's Dietary Guidelines, and the enactment of food through social eating practices at a Uruguayan Club in Sydney. Justin McVean graduated with high honors in a Culinary Arts program at Saint Paul College and earned an AAS. He is a Certified Nutrition Health Coach and created his own degree in an individualized studies program at Metropolitan State University. He is a candidate for a BA in Nutrition: Community and Individual Development.